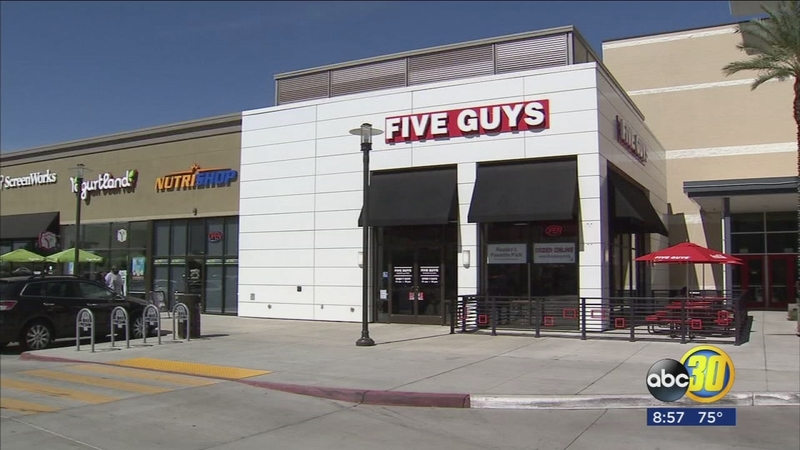 FRESNO, Calif. (KFSN) -- The restaurant opened Saturday at The Square at Campus Pointe near Fresno State. The chain has three other locations in Fresno and one location in Clovis. Five Guys say their food is never frozen and is customizable for any taste with more than 250,000 burger options to be ordered. The restaurants are open every day from 11 a.m. to 10 p.m.